Hunter's Super Quiet Safety Vest. 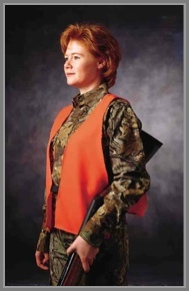 Blaze orange vest provides over 700 square inches of safety orange to help hunters stay visible. It has an adjustable front closure and non-restricting elastic side straps. One size fits most.